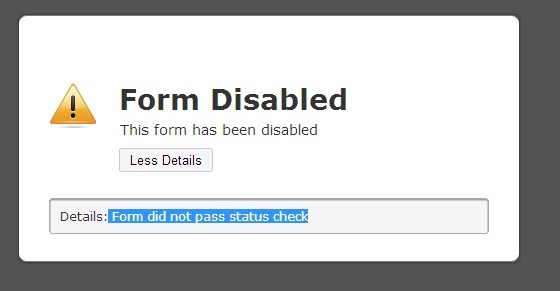 sitenizden form kaydettim, fakat mesaj girilince " Form did not pass status check" hatası alıyorum. Bunu çözmek için ne yapabilirim. Yardımcı olursanız sevinirim. Can you please specify the form URL or account username where you saved your form? It would be easier to give a more accurate solution if there is a way to view and inspect your page.